The time between Thanksgiving and New Years Eve is among the most dangerous periods to be on the road in Massachusetts and throughout New England. Recently, Boston.com reported that more accidents occur during the year-end holidays than at other times throughout the year, in large part because of more travelers as well as an increased risk of drunk and aggressive driving. As you enter into the holiday season, our Boston personal injury attorneys urge you to understand the increased risk of auto accidents and to take steps to avoid the most dangerous behaviors that contribute to such wrecks. There are many reasons why the number of accidents increase from Thanksgiving to New Years. One reason is that there are simply more drivers on the road as people go see friends, take trips and travel for the holidays. 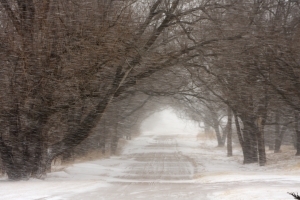 The bad winter weather may also contribute to the increased car accident risks. However, while these factors are beyond the control of drivers, there are also some driver behaviors that significantly up the chances of a holiday car wreck. Law enforcement officials have identified three specific behaviors that tend to be factors responsible for causing holiday auto accidents. CBS Boston reports that state police in Massachusetts as well as the five other New England States will be teaming up to help put a stop to these behaviors this holiday season. Each of these behaviors presents some serious dangers. For example, the National Safety Council (NSC) indicates that speeding, a form of aggressive driving, is a contributing cause of one out of every three deadly car crashes in the U.S. The AAA Foundation for Traffic Safety statistics also indicate that aggressive driving is a factor in 56 percent of U.S. fatal car crashes. Aggressive driving behaviors of concern include speeding, tailgating, failing to give another driver the right-of-way and engaging aggressively with another driver. Distracted and drunk driving are no less dangerous. Statistics from Distraction.gov indicate that 3,092 car accident deaths in 2010 can be attributed to distracted driving and the Century Council reports that there were 114 drunk driving deaths in the state of Massachusetts in 2010. Distracted driving can include driving while on a cell phone, while texting or when otherwise focusing on anything besides the road. Drunk driving typically refers to driving with your blood alcohol content exceeding .08, but can also include other situations where your driving abilities are impaired by either alcohol or drugs. Law enforcement hopes that tougher enforcement, a larger police presence and driver education will help to curb these dangerous behaviors this holiday season. As a driver, you should be aware of the increased risk, however, and you should also be aware that you have legal rights if other drivers are careless or break the laws and cause you harm. If you have been injured in an auto accident, contact Personal Injury Lawyer Jeffrey S. Glassman for a free and confidential consultation to discuss your case. Call 877-617-5333.